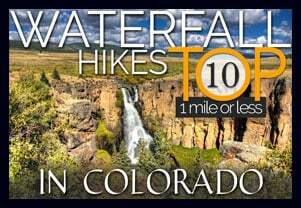 Hiking, and hiking in Colorado, is a potentially dangerous activity and can potentially result in injury or death. The hike descriptions contained in the Dayhikesneardenver.com website are intended to help plan outings, but individuals using this site are wholly responsible for anticipating potential hazards and evaluating their physical ability to follow a particular hike description. Hike descriptions are not comprehensive and should not be construed to explain any or all potential hazards on a hike. Dayhikesneardenver.com can and will assume no liability for injuries associated with the use of information provided on this site. The trail information on this site is to be used for informational purposes only and not intended to be the sole source of technical information for a given trail or area. Weather reports on this site are approximate and based on the nearest town, not the actual site. 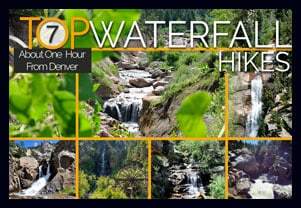 Hikers should be aware that weather can change very quickly in Colorado. 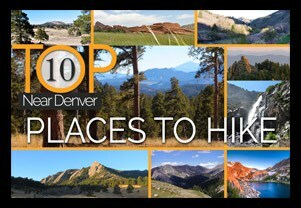 Dayhikesneardenver.com and its contributors are not responsible for the hikers who use this resource.